And just like that, Los Angeles lost its voice. 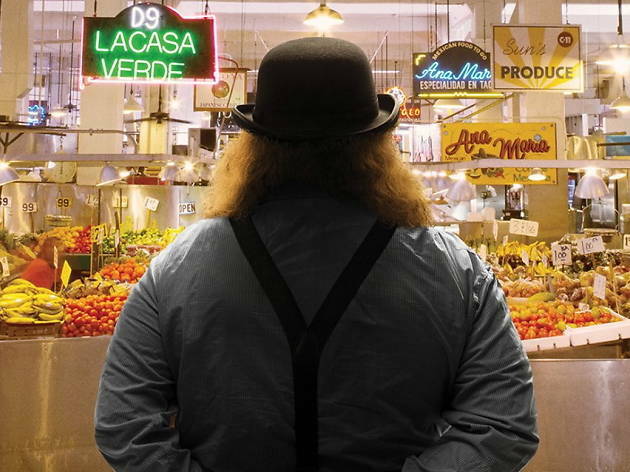 Jonathan Gold—the Pulitzer Prize-winning food critic with decades of work and more than 1,000 reviews split between the L.A. Times, L.A. Weekly, Gourmet magazine and others—helped define and explore the culinary underpinnings of Los Angeles and the world at large. In a sudden, wrenching and shocking turn, on Saturday, at only 57, the bard and the belly of this city passed away, as reported by the L.A. Times. A fixture at noodle shops, dumpling houses, food festivals, anju bars and anywhere that served blood cubes or molotes or tripas or, well, you’re beginning to get the picture: Gold was a champion of the hidden corners, the outskirts, the underdogs, the underbellies and anywhere that might make fussy eaters and elderly relatives wary of entering and ordering a bowl of steaming offal. But Gold knew the heart of Los Angeles, and he knew that this is where diners could glimpse it. For decades he invited all walks of life to the table and led us into strip malls and fine-dining restaurants with reverence for both ends of the culinary spectrum, and as eaters, L.A. residents and visitors alike owe him our palates. 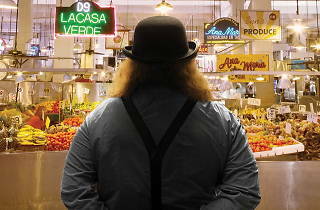 Of course his influence did not stop with diners; the chefs of the city both feared and respected Gold, an affable and curious but discerning writer whose prose loomed larger than his tall, suspenders-clad frame. Here are a few memories and farewells from the culinary community of Los Angeles, the city that will always belong to Gold. Photograph: Courtesy Goro Toshima from "City of Gold"